Some say Kabbalah is dangerous. But only when it’s taught by those not authorized by a Kabbalistic master to teach and share the wisdom. It’s dangerous when Kabbalah is taught by those who claim to be Kabbalists but do not have rabbinical ordination or ordination as a Kabbalist or the written permission of their master, with all of the necessary documentation to prove it. Or if it’s taught by someone not observing all of the spiritual connections and technologies that we use daily, weekly, monthly and annually, which requires an ordained rabbi and Kabbalist to perform. Of course, this is not my opinion. Rabbi Shimon says in the Zohar that if you learn Kabbalah from someone who is not a true Kabbalist, someone who is not a Rabbi with all the merit, authorization and blessing of their master, the documents and the rabbinical and kabbalistic ordination to teach, then that individual brings Darkness into the world — a darkness beyond what we can imagine. This is what is written in the Zohar. And it’s pretty darn scary. We need to appreciate that there is only one lineage of Kabbalists. There has always only been one lineage of Kabbalists. Throughout the centuries, many egocentric students and teachers abandoned their Kabbalah master and started up their own “schools.” The names of these false teachers have been forgotten in history and only the names of the one lineage of Kabbalists remain. But in each generation, the same old egomaniac students and teachers bring darkness to the world. It happens in our generation as people hijack and rob the teachings that they learned from Kabbalist Rav Berg and Karen Berg, or descendants of Rav Ashlag and start their own “school” for the sake of their own honor, their own satisfaction and their own hidden agenda. The true Kabbalists are always called the charlatans and hucksters and all kinds of other slanderous terms by the fake ones and by the corrupt teachers. That’s been the sly and shifty pattern of history and this is why the fires have burned in the world for twenty centuries. Everything is backwards. What is empty and useless and temporary is valued by the world and what is true and priceless and eternal is mocked by the deceivers who profit from our pain. Please understand that this harsh truth is from the Zohar, not myself. These false teachers of Kabbalah create that darkness and they infuse into the world. This darkness, according to the Zohar, causes the death of people in the world. Yes, this is a compelling, provocative, hard-hitting truth. But it’s the word of the greatest Kabbalist in history, Rabbi Shimon, and he wrote it in the Zohar, which means this truth is an actual ray of Light. The Zohar says it’s an absolute sin to leave your Kabbalah teacher and teach this wisdom without their permission because of the danger it causes to the world. 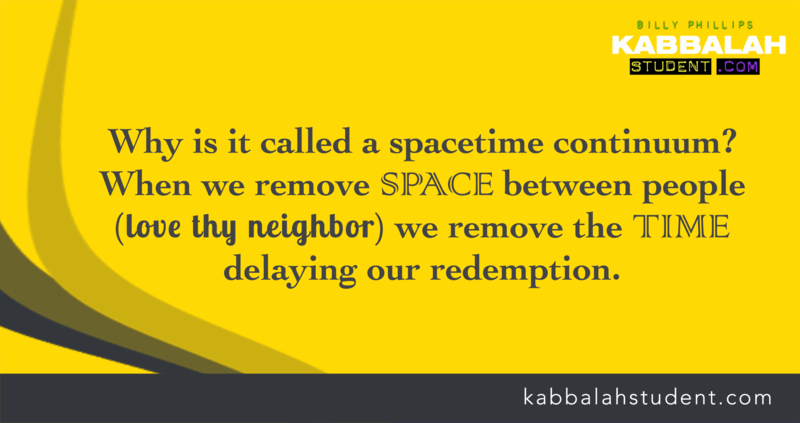 As Kabbalist Rav Berg always taught me, Kabbalah is a serious path and we cannot play around with this wisdom or “mess” with the Light of the Creator. We cannot afford to take this wisdom lightly or casually. Appreciation and care for our teachers and this wisdom ensures we are on the right path. Keep in mind, this does NOT refer to students who share Kabbalah with friends, family, colleagues and the world. It refers to a person who presents him or herself publicly as a bona fide Kabbalist and leader and then teaches Kabbalah to the masses after having left their original teacher. It refers to the pretenders. It refers to the teacher who leaves their master Kabbalist. Sharing the wisdom and Light is what Kabbalah is all about. But to share, we must be aligned with the true lineage, the Kabbalah Centre, Kabbalist Rav Berg. Because that is how we draw our own blessings. When we teach Kabbalah to our children, share it with our friends and pass the pearls of wisdom to the others, we have twenty centuries of Kabbalists flowing through us because we call ourselves a student of the Kabbalah Centre, the student of Rav Berg. This is the profound gift we are giving to our children, friends and colleagues when we share. Imagine, when we share this wisdom with family or friends, it’s as though the Rav is right there with us, speaking through us, which means so is Rav Brandwein, and Rav Ashlag and Rabbi Shimon bar Yochai. This is the gift we receive when we align ourselves and connect ourselves to the true lineage and masters of the Kabbalistic path. You can learn Kabbalah in a university or from a pretender who calls himself a Kabbalist or a former teacher of the Kabbalah Centre. If you do, you gain information. It’s pretty cool information. It’s amazing information. But it’s ONLY information. And it causes darkness in the world at the same time. When you study from the lineage, it’s not intellectual study about information; it’s about transformation, enlightenment and deep change in the very soul of our being. It’s about diminishing the influence of our ego so more Light can flow through us and reach the rest of this world. And to study from the lineage, one needs the merit, one must earn the right to be allowed on this path. The truth is, we don’t choose the true path of Kabbalah! The path chooses us based on our merit from this and past life. So if you are reading this article, it means out of seven billion people, you have the merit and opportunity to secure a spot on the Ark, the Tree of Life, the circle of protection that is offered to people during times of great judgment. Kabbalist Rav Berg told me on more than one occasion that when students or teachers leave and quit the Kabbalah Centre, the are not really quitting. What happened, the Rav said, is their consciousness has fallen and their behavior was all about their own ego. Satan is then given permission to fill their heads with doubts and they will even see mistakes, just so they can “quit” the path. But they did not quit. The Rav told me that the Satan is the one who made them see things and perceive things and to draw conclusions and opinions that justify their quitting. But in truth, the Rav said to me, they were kicked out by the Light because they never got rid of their ego and they lost the ability to be united no matter what and give unconditional love. And that is the sole purpose of life — to develop unconditional love. Unconditional means no matter what. Instead, people throw other people under the bus and slander and judge when another person is down. The Rav told me that is the nature of the Jew. Do not get mad at me. This is EXACTLY what the Rav taught me and told me. And the Rav was even tougher and more provocative than what I am saying here. 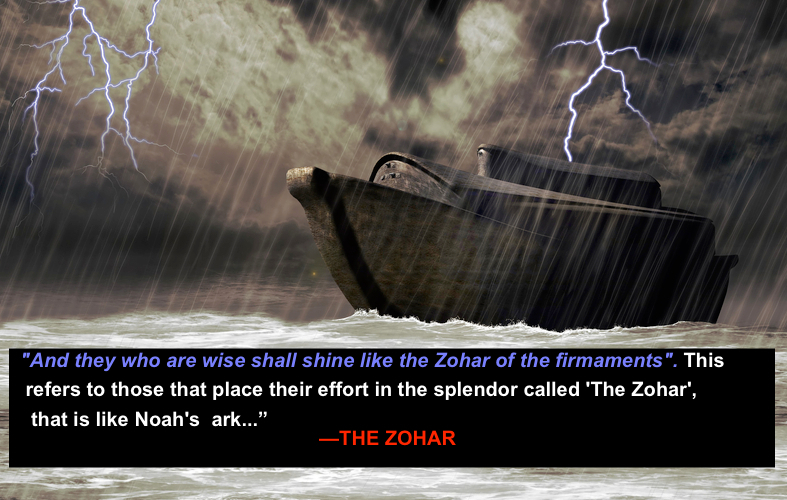 The Zohar says that the Zohar is the ark during times of judgment and those that are connected to the Light and path of the true lineage of Kabbalists will leave the exile and experience the redemption through mercy and pleasantness instead of judgment and pain. Our appreciation for this is what secures us a seat on the Ark. I believe Kabbalah can also be dangerous when the student is not mentally stable! Perhaps in some cases but in the cases I’ve seen firsthand, people suffering from mental illness benefit from having a Zohar near them; two have told me that the energy brings peace to their demons. Also, my cousin is mentally slow and mentally ill and he watches Kabbalah University with me and seems to notice special insights that slip past me. I just had to point that out because I have seen the difference Kabbalah makes in people suffering mentally. Kabbalah’s teachings brought my attention to God. My Borderline Personality Disorder among other issues including extremely reckless self-destructive behaviour and 3 psychotic episodes has been diminishing. ie: SUICIDE and the HEAVY and PERSISTENT desire to put myself in front of harmful people! One of which was going to murder me upon “my own consent.” Hallucinating and believing that people kept urging me to kill myself or wanted to attack me. My own MOTHER who LOVES ME and always has shown me nothing but love and affection. Never abused me ever. But that was how distant I was. The distance is what was driving me to insanity. Now keep in mind, this is NOT a brief issue! This was MY ENTIRE LIFE- CONSTANT. ALWAYS. Not some fleeting trouble in adolescence. That was all necessary pain, I am thankful to God for putting me through fire so I can now understand … bit by bit … that I cannot bear to exist without Him. Being without God is what Hell is. If the person is experiencing psychotic episodes persistently, of course it is always a good idea to stabilize them before ANYTHING. Let alone trying to give them God. … But mentally unwell people such as myself will only benefit from turning their face to God. God is Good. If only the world knew just what that meant. My teacher learned from Rav Berg,but he founded his own school. He`s a very good teacher and i learn a lot with him. Am i wrong learning from him? If his master, Rav Berg, did not give him the blessing, the rabbinical ordination and the permission to teach, then this is what the Zohar describes as dangerous. Kabbalah is not about “teaching” information. It’s about bringing the Light and enLIGHTenment and transformation to the student. Only the lineage can transfer that energy, according to the Zohar, not me. Billy…can you tell me what section of the Zohar you are referring to…I’d like to read it and scan the Aramaic. I couldn’t agree more, Billy. I learned very little in the 8 months I was with an education center with the initials B.B., which I’m sure you’d recognize. I think they are very dark. Not the students, mind you, but that so-called Rav L. is very messed up. The problems with B.B. start at the top. I could feel it from the beginning but they kept saying it was my own darkness coming to the surface. That’s a good way to stop people from speaking up but it didn’t work on me. I brought several students with me last year when I made my loud departure. Then I joined Kabbalah University and it was very Light. You’re my favorite. I may not comment but I always read and enjoy your stuff. Thanks for everything, Billy! Billy Phillips & family/ordained kabbalah teachers ! Are you planning to translate this article to spanish? Of course lineage is very importat. But is only one? What about the Ashlag family? Son and grandson of Rav Yehuda Ashlag? And other possible lineages – Kabalists has manu students on 3500 years (or more). Was only one lineage till today? Rav Ashlag’s lineage extends to his chosen disciple Rav Yehuda Brandwein. Moses had children but his lineage went to Joshua. Its not complicated. And there is one lineage. Only one. There always has been. Period. You can disagree with this, but this is what history and Kabbalists and the Zohar tell us. but I do want to share my little experience and wonderings. I am naturally careful to take on another teacher, or teaching. groups I think I am getting closer to deciding which one to follow. You see, all i want is to learn as much as I can about my beloved Creator Who spoke to me since soon after birth — and of course- before birth completely!! I started lessons with BB, and enjoyed some, as well as some of Rav. Laitmans teaching and insights on his blog, and would have struggled on to understand some instructors (who are all students of Rav Laitman, dont get paid for their time and input, but do it out of selfless love, and some really really great people who answered most of my questions), if it was not for one main thing. I put this here in a sort of defense of him. But the bad taste it left in my Spiritual mouth is enough to wholeheartedly follow Rav Berg and indeed the valuable and clear lessons I get every time I a listen to Billie Phillips. The reason I did choose BB at first was because they offered all there lessons etcetera for free. Being penniless that was the option I had. But after reading all I could, and especially all available on Billie’s blog, paying the meagre $ 8 dollars for the Basic lessons, things changed! I am not Madonna who can afford the best of the best, but hey, if my two cents can buy the Spiritual guidance I need, I am more than happy to buy less groceries! So, I filled in my form, sent it off and am waiting in anticipation! Should a teacher cost me much more money, I have a feeling that G-D will provide amply!! BUT I am left with sadness in my heart that there is not the Unity we all crave between the two Kabbalah groups. I am sad that I will no longer listen to some of the lesson with the two instructors I admire. I am sad that the ‘chosen people’, whether full-blooded Jews or not, can not unite with one another, and then with the rest of us, and thus reach the common goal of being ONE with the very same Creator of ALL. Could there be solution for this, once all egos, Jewish or gentile , African or Palestinian, melt away and we can all be absorbed into our Creator G-D???? Thanks for posting this, Billy! It’s such a merit to even be able to read it. I also think Kabbalah is dangerous when it wants to teach so harshly what it want to teach and you feel guilt if you dont go with it right away. I had a teacher who was a true kabbalist, but not perfect either. I found her very egocentric by not letting me having a freedom of speech and by not letting me discuss specific things of Kabbalah. If you are not able to discuss things, cause it would say you dont give respect to kabbalah and it shows that you are ego centric, than i think the official teacher with all certificates and all is ego centric herself. If there is no freedom of speech , if you cant discuss things, if the official teacher herself sais about other good things: ”that is the opposite of the light” , than i fear this official teacher as well. Rav planted seeds in us. Seeds of immortality. Each of us have tasks in life. Some times it is “live ordinary life”. Some times it can be “live without teacher”. Light never makes mistake. BB is doing their mission. KC is doing their mission. All works for 1 purpose. This is your opinion. The Rav taught me never to share my opinion. The Rav taught me only to quote the Kabbalists and Zohar, no matter how brilliant my opinion might sound. What I shared in this article is what the Rav told me and what I read in the Zohar. It’s a higher and more enlightened perspective that is difficult for some people to grasp, and yet simple and beautiful and easy for other people to understand. It all depends where we are in our process. The Zohar, Rav Ashlag and all Kabbalists teach us never to leave or abandon our teacher. They are the umbilical cord. Period. You are free to disagree but just know you are sharing your opinion whereas i am sharing the words i heard from the Rav’s mouth as his student of 25 years. The names you mentioned are all authentic Kabbalists who received permission. that does not take away from the fact there is one lineage dedicated to revealing Zohar (Moses in Tablet form) to writing it down (Rabbi Shimon/Rabbi Abba) to deciphering it (The Ari) so that its more understandable, to translating the original Aramaic into Hebrew (Rav Ashlag) along with commentary to prepare its dissemination into the realm of Malchut, to finishing the translation and publication of the Zohar and preparing the next generation to do that actual work (Rav Brandwein) to doing the actual work of opening up those iron doors that were sealed shut for millennia and bringing it to all mankind (Rav Berg/Karen Berg). That is the lineage I speak of. The Ramak (Moses Cordevero) is recognized as a great Kabbalist but even he said that his contemporary, Rav Isaac Luria was the lineage whose work would be the official line of Kabbalah, known as Lurianic Kabbalah. So yes, there are other great Kabbalists and Rabbis who received permission and smicha, but there is on lineage whose sole work is the spreading of the Or Ganuz, the hidden Light, which is the Zohar. My older brother who is now 23 years of age has not been the same person our family and his friends used to know. When he was 20, he was introduced to someone who later started to teach him Kabbalah. He was sneaking out of the house to learn with some random person whom my brother never speaks about. About 3 months later, he stopped going out to see this person. He purchased a Zohar book and started to read it randomly throughout the day. Fast forward a couple years and now he’s not same person he was before. He doesn’t have any friends. He’s borderline passing in his studies. And his personality has changed. My mother and father have questioned for years how this could happen. I think something bad happened to him once he started learning Kabbalah. It’s like he has multiple personalities. He speaks to himself when other are around. He goes off on random tantrums and it scares all of us. Something that really brothers me is that he doesn’t have any emotion towards anything. I mean nothing. He laughs at the dinner table for no reason. He’ll just laugh to himself when it’s quiet and continue. The way he talks now brothers me. He talks with no energy. It’s as if he has no soul. He once blurted out to me “hey look, satans here” when my mother came home. Our family and his old friends don’t know what’s going on. I need some answers and I hope maybe someone here knows what’s happening.